February 1st marks the beginning of Black History Month. Though the African-American experience can not be defined as one particular thing, these select films have been a tremendous contribution not only to cinema, but also to Black people. Here are 22 movies to watch for Black History Month. *Please note that we have listed the films in chronological order. A Raisin in the Sun (1961) directed by Daniel Petrie Sr. The Younger family strives to get out of their ghetto neighborhood on the south side of Chicago. When the patriarch of the family passes away and each family member is handed a slice of the insurance payoff, their escape finally seems possible. Each has a dream, each dream costs money, and each dream has a catch that threatens to tear the family apart. 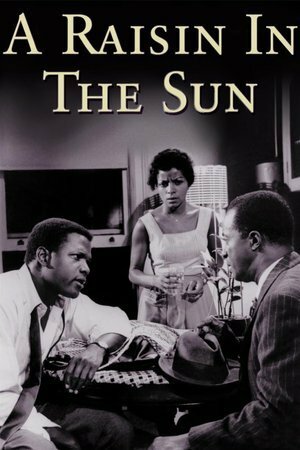 Based on Lorraine Hansberry's stunning play, Sidney Poitier and Ruby Dee star in A Raisin in the Sun, the story of a working class Chicago family who are divided about what should be done with the family's late-patriarch's life insurance money. A Raisin in the Sun is a story about lack of opportunity, dreams, hope and loss. Most importantly it's a film that highlights the importance of family in the African-American community. A young black laborer falls in love with the daughter of a preacher. They marry while he struggles to affirm his worth in the face of strong racial prejudice. The Washington Post wrote that Nothing But a Man "is one of the most sensitive films about black life ever made in this country." The 1964 film follows a willful Black rail worker Duff , who abandons his son to live life on his own accord. Everything changes when he meets schoolteacher Josie. Though Josie's Preacher father disapproves of Duff's lifestyle, the two eventually marry. 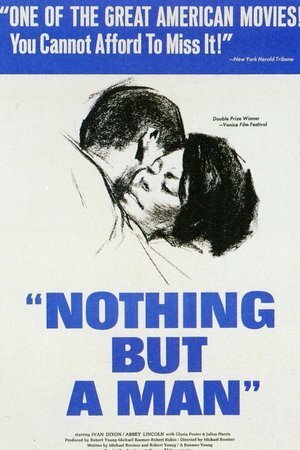 Nothing But A Man shows Duff and Josie as they struggle to hold on to their marriage in the oppressive racism of 1960s America. Philadelphia cop Virgil Tibbs is a star in his hometown but a suspect when he crosses the Mason-Dixon line. Now he must team up with a bigoted cop to bring a killer to justice. 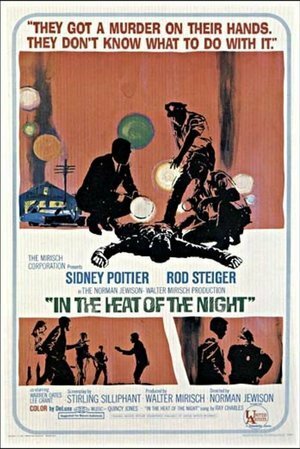 In 1967, Sidney Poitier starred in In the Heat of the Night as Virgil Tibbs, a big-city detective from the progressive north who’s sent down to the South to assist a racist cop in hunting down a murderer. The major accomplishment in the film was its development of a mutual understanding and respect between the two central characters. This breakthrough mirrored the slowly changing changing sociopolitical climate in the United States. 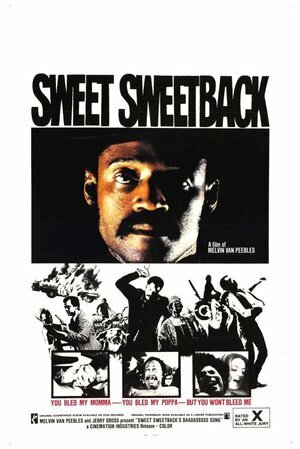 Renegade pimp Sweetback hits the road after hacking up two corrupt police officers who were busying themselves with brutally beating up a young black man. In 1933 Louisiana, a family of African American sharecroppers endure racism and injustice when the husband and father is convicted of a petty crime and sent to a prison camp. The Great Depression was a devastating period across the country, but even more so for the severely impoverished living in the South. 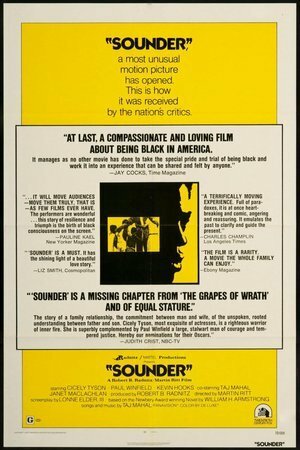 Sounder, starring the revered Cicely Tyson and Paul Winfield follows the Morgans; a poor Black sharecropping family living during the 1930's who endure racism and injustice while struggling to educate their 11-year old son. This 1972 film, which is based off of the 1970 Newbery Medal-winning novel Sounder by William H. Armstrong was nominated for a Best Picture Academy Award. 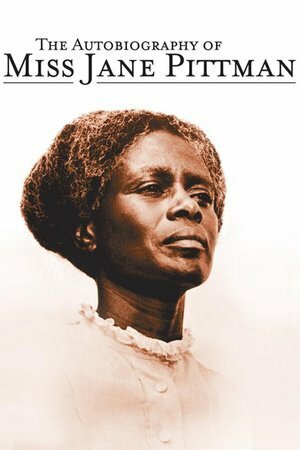 Though this was technically 1974 TV miniseries, based on the book by acclaimed author Ernest J. Gaines, The Autobiography of Miss Jane Pittman can be seen as a complete piece now. Starring the legendary Cicely Tyson in a role for which she won two Emmys, the film tells the story of a woman in the South who is born into slavery. The film depicts Jane aging from 23 years old to 110 years old. Set in the Watts area of Los Angeles, a slaughterhouse worker must suspend his emotions to continue working at a job he finds repugnant, and then finds he has little sensitivity for the family he works so hard to support. After the Blaxplotation era of the 1970's died down, the Black Independent Film Movement began emerging. 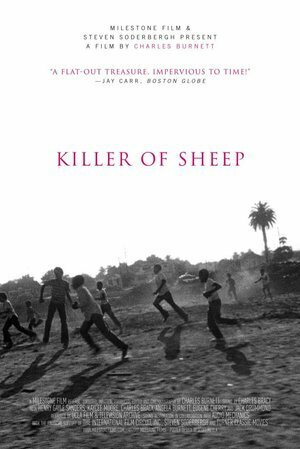 Set in Watts, Los Angeles, Charles Burnett's Killer of Sheep was one of these important films. Though the film was not released until 30 years after it was complete, it's an important story of Stan, a slaughterhouse worker, who seems to be working himself to death. It's a film about the lack of opportunity, life and family. 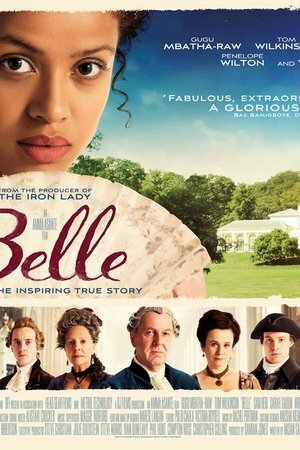 Epic drama of an African-American woman's struggle to overcome poverty, adversity, and a marriage to brutal husband and eventually find her dignity in a period that spans over forty years from the turn-of-the-century. 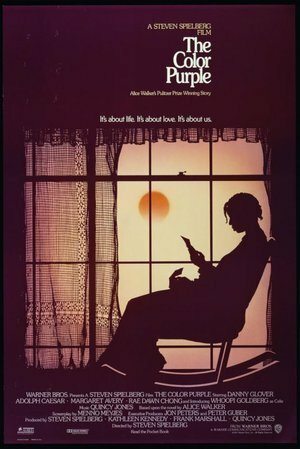 Based on Alice Walker's heartbreaking novel, The Color Purple is the pivotal story of Celie Johnson and the hardships she faced as a black woman in early 20th century America. Though the story is a personal and fictionalized account, the trials and tribulations that Celie endured were representative of entire generations of African American women. Directed by Steven Spielberg, The Color Purple was Whoopi Goldberg's breakout role. Homecoming at a southern college. 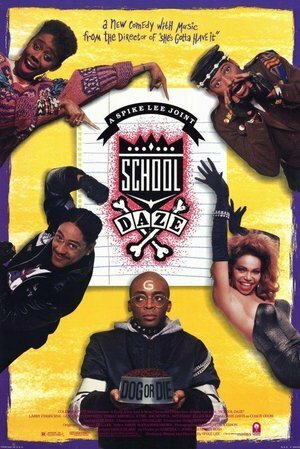 In the film that inspired a generation of African-Americans to attend Historically Black Colleges and Universities, Spike Lee presented School Daze. The film follows a fictional HBCU Mission College and the opposition between the fraternities and activists on the campus. The film also reflects on issues of colorism within the African-American community. If you're a Black-ish fan, School Daze is a epic opportunity to see a young Laurence Fishburne. Ten years after it's release, Spike Lee's critically acclaimed Do the Right Thing was inducted into the Library of Congress because of its cultural significance. The moving film tells the story of the brewing racial tension in a Brooklyn neighborhood that comes to a head on the hottest day of the summer. 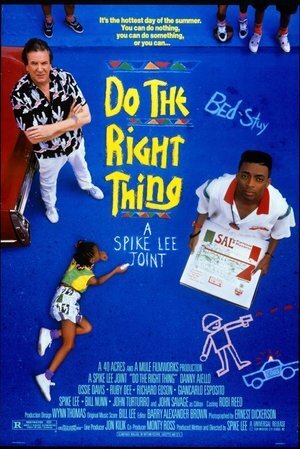 Do the Right Thing remains relevant today as we continue to struggle with racial tensions and police brutality. Three black male teens come-of-age in the gang "war zones" of South Central Los Angeles. The '90s were full of lots of great things, but one exciting thing that the decade brought to movies were hood homeboy flicks like, New Jack City and Menace II Society. These films were serious dramas that focused on Black men living and surviving in violent urban cities across the country. 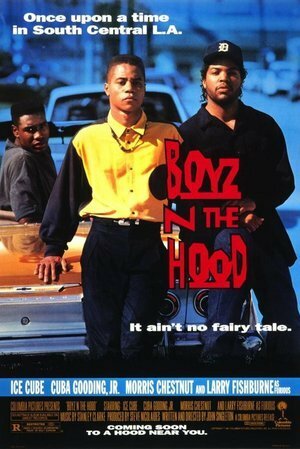 However, the film that started it all was John Singleton's critically acclaimed Boyz N The Hood. The film is a coming of age story of three young men trying to survive in South Central LA. The film stars Ice Cube, Cuba Gooding Jr. and Morris Chestnut. Singleton was nominated for Best Director for the film in 1991, making him the youngest ever and first African American to be nominated for the award. Story of the migration of a Gullah family, descendants of African slaves, from islands off the South Carolina coast, to the North in the 1900s. The film focuses on women as the transmitters of tradition and culture. 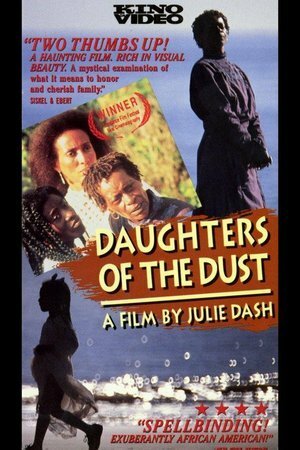 Written and directed by Julie Dash, Daughters of the Dust is the first film directed by an African-American woman to be distributed theatrically in the United States. The film is the story of three generations of Gullah women on St. Helena Island in 1902, who come together for a last dinner before they prepare to migrate to the North. The story of Malcom X, a black man who went from jail to leading a revolution. 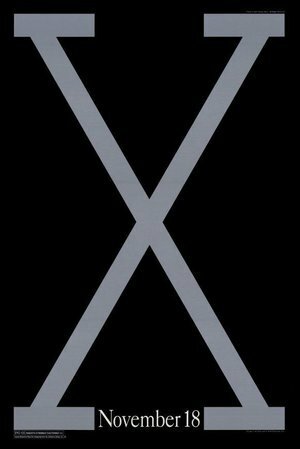 Spike Lee's 1992 biopic Malcolm X starring Academy Award winner Denzel Washington dramatizes the outspoken Civil Rights leader's life from his criminal start, incarceration, conversation to Islam and subsequent rise as a revolutionary. Malcolm X was outspoken against white's treatments of African-Americans in America, as well as the non-violent movement and leaders like Dr. Martin Luther King, Jr. In 2010, the film was inducted into the National Film Registry by the Library of Congress. It's a pivotal film about a man who refused to be held back, whether it be by himself, racism in America, or the Nation of Islam. The Civil Rights movement was riddled with murders and injustices towards African-Americans. 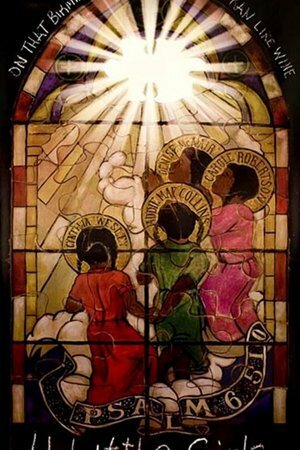 One of the most horrific was the bombing of an Birmingham, Alabama church on Sunday September 15, 1963. As the smoke cleared, four little girls lay dead. Spike Lee's 4 Little Girls is a documentary about the horrendous massacre, and the events that occurred before and after. 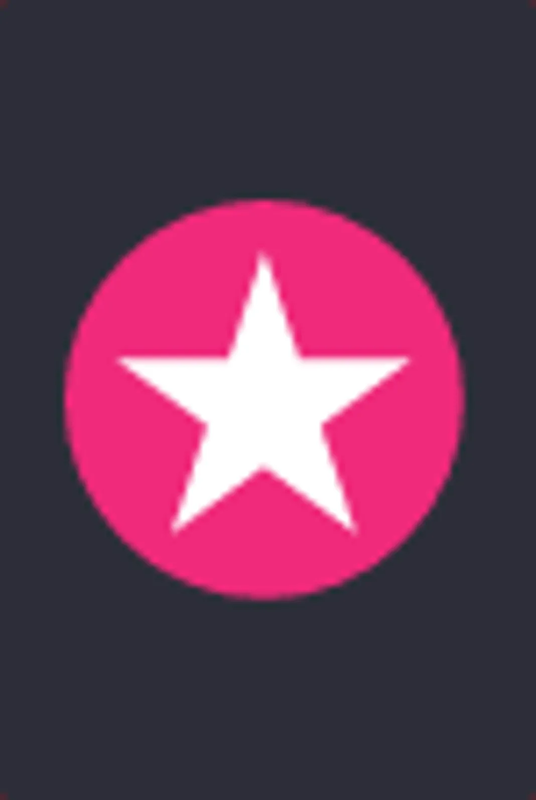 4 Little Girls was nominated for an Academy Award for Best Documentary Film. 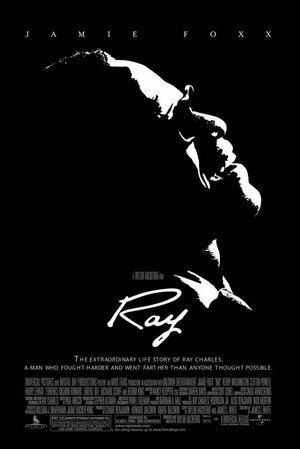 In what we would call one of the greatest biopics of all time, Jamie Foxx stars in Ray; the life-story of acclaimed musician Ray Charles. The story chronicles Charles' life from his impoverish childhood to his tumultuous rise to fame and subsequent drug addiction. The film boasts not just a astounding story and stunning music, but it's also a film of inspiration and perseverance during one of the most trying times in United States history. From 1967 to 1975, Swedish journalists documented the Black Power movement in America. This previously unseen 16mm footage and contemporary audio interviews show the people and culture that brought the movement to life and inspired change. Another movement that sprung out of the Civil Right's Movement was the Black Power movement. 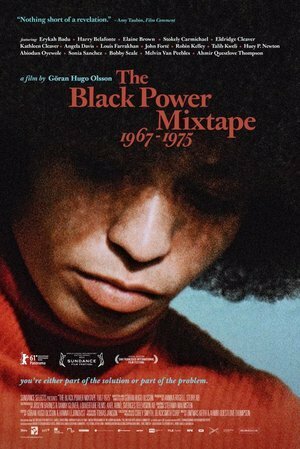 The Black Power Mixtape 1967-1975 is a documentary film that chronicles this movement in the late '60 to mid-1970s. Along with never before seen footage of the time, the film also includes contemporary audio interviews that show the people and culture that brought the movement to life and inspired change. It's a film that proves that the Freedom movement was not simply one-dimensional, it had many facets and intricacies that were formed in order to help African-American achieve equality. In the mid-1800s, an educated, free black man was enslaved but eventually freed again. Many have argued that Hollywood produces too many slave films. However, we would argue that there aren't nearly enough. Slavery has a 400- plus year history in the United States, and the effects of the horrific institutions are still visible today. Furthermore, the experience of slavery is as unique as the individuals who lived during the time period. If nothing else, we owe them the opportunity to have their voices heard. Steve McQueen's 12 Years a Slave is one of the most brutal and accurate films on slavery to date. 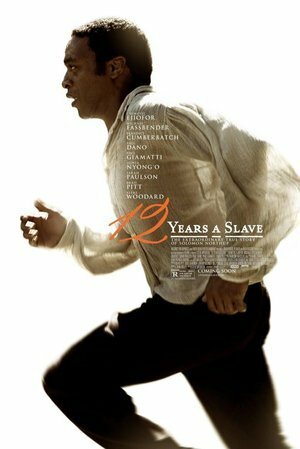 The film follows Solomon Northup an educated, free black man who was tricked into slavery where he suffered horrifically for 12 years until he finally escaped. The film garnered Chiwetel Ejiofor his first Academy Award nomination. Oscar Grant was filled with resolve on New Year's Eve, but killed the next day by BART officers. His shooting was caught on video and shook the Bay Area, and the nation, to the core. Generations of Black people have continually slaughtered in the streets by the police officers that are charged with protecting them. 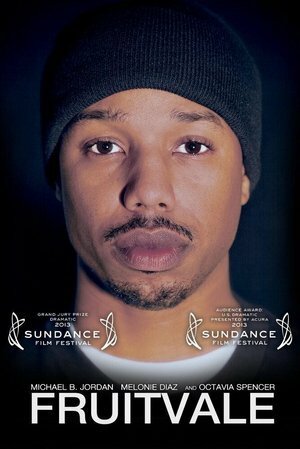 Ryan Coogler's debut film Fruitvale Station is Oscar Grant III's story. Michael B. Jordan stars as Grant, a young man living in the Bay Area who is desperate to turn his life around for his daughter. Instead, Grant was murdered by the Bart Police, New Years Eve 2008. His shooting was caught on video and shook the nation to the core. The life story of South African President Nelson Mandela and his work to rebuild his country's once segregated society is chronicled. 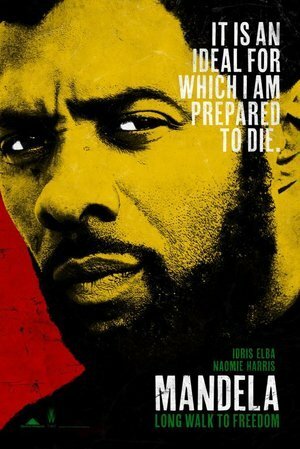 Idris Elba stars in Mandela: Long Walk to Freedom as late South African President Nelson Mandela. The film chronicles the polarizing figure from his early life, 27- year incarceration and subsequent role as leader and hero of the formally segregated South Africa. Mandela: Long Walk to Freedom is significant because it shows a more global scope of racism and colonization; moreover its a film that shows how these things have been extremely detrimental historically to people of color around the world. At a prestigious, predominantly white university, a group of students are forced to confront racial, sexual and socio-economic prejudices when a party goes out of control. 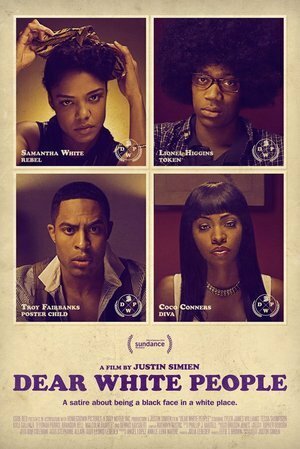 Justin Simien's Dear White People takes a look at race in the 21st century. The film chronicles a semester at a predominantly white university as tensions continue to amount between white students and students of color. Things come to a head after a fraternity throws an offensive Halloween party, where students white students don blackface. The film highlights some of the major racial issues that have been occurring on college campus across the country. If you've never seen Dear White People, the satirical drama film is definitely worth the watch, especially considering what happened at Mizzou this past year. 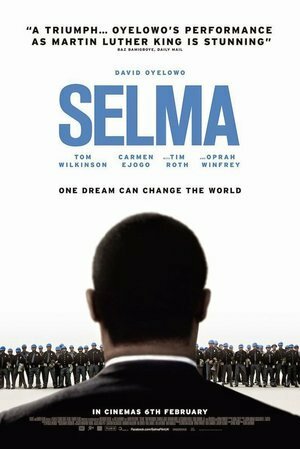 There have been many biopics on the life of Civil Right's Leader Dr. Martin Luther King, Jr, but none have been quite as moving as Ava DuVernay's 2014 film Selma. The film chronicles the tumultuous three-month period in 1965, when Dr. King led a dangerous campaign to secure equal voting rights in the face of violent opposition. This film not only shows the significance of the movement, but it highlights Dr. King as man instead of an untouchable historical figure.